Superior Power washing has been serving the Triangle area since 1998. Mark Cespedes started the company and has hundreds of satisfied customers. "We do high quality work, we pay attention to detail, we don't drag jobs out and our prices are very reasonable. Your satisfaction is guaranteed and this is a promise I give to all customers. In 2010 we were honored with the Angie's list Super Service Award"
Please feel free to call Mark at (919) 412-6448 for a free estimate. 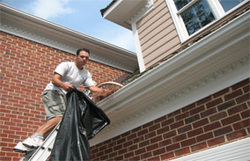 This service includes cleaning the exterior of your house using chemicals and soap. This removes all dirt, spider webs and mildew from the house. We use low pressure to apply the cleaners and to rinse them off, assuring not to remove paint or caulk from your house or breaking the seals on double pane windows. 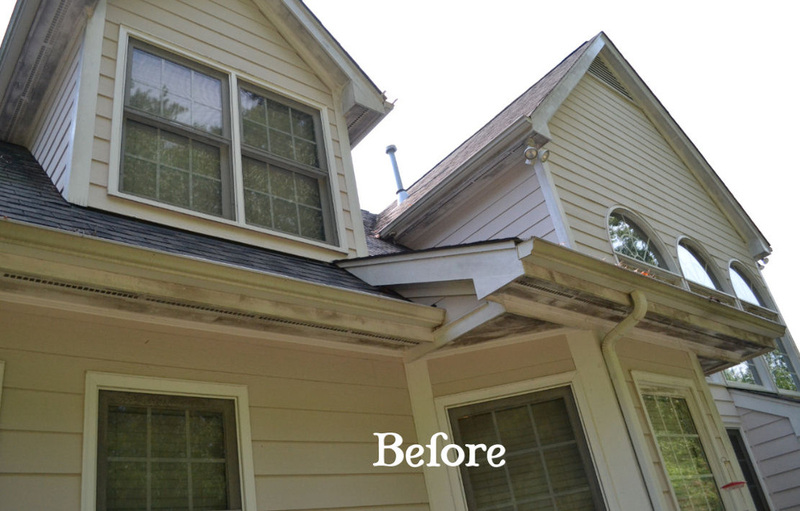 We use a product that removes the black streaks/mildew from the exterior of gutters. 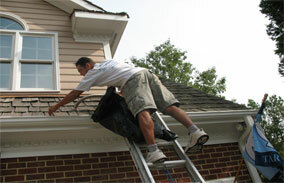 We hand scrub the exterior of the gutters during each house washing. This returns them to a clean surface. Contrary to what other companies say, the black mildew DOES come off of gutters. This service includes applying wood cleaning chemicals to deck to remove all mildew, dirt and grey weathered look, bringing deck back to the original golden pine look it had when it was new. A drying period is allowed usually 24 hours or sometimes less in extreme heat of the summer. After the deck is dry, a stain is applied to the deck to preserve the life of the wood and repel water from soaking into the wood. We usually use a very high quality stain called Total Wood Protectant (TWP). This is the brand of stain we use most frequently. It is an oil based semi-transparent stain which will repel the water and still allow for the wood grain to show through as you stated. It comes in several color choices all very warm and neutral. This service includes cleaning driveways, sidewalks, brick pavers or brick walkways. This service is sometimes performed with water only and sometimes with water and chemicals depending on the condition of the surface to be cleaned. We use high quality surface cleaners. Unlike the traditional way of the back and forth motion of a pressure washing gun that commonly causes streaks to remain in the cement. This machine scrubs the cement in a circular motion leaving a very deep down even clean. When the surface is clean we then spray the entire surface down with a mildecide to help prolong the return of mildew. 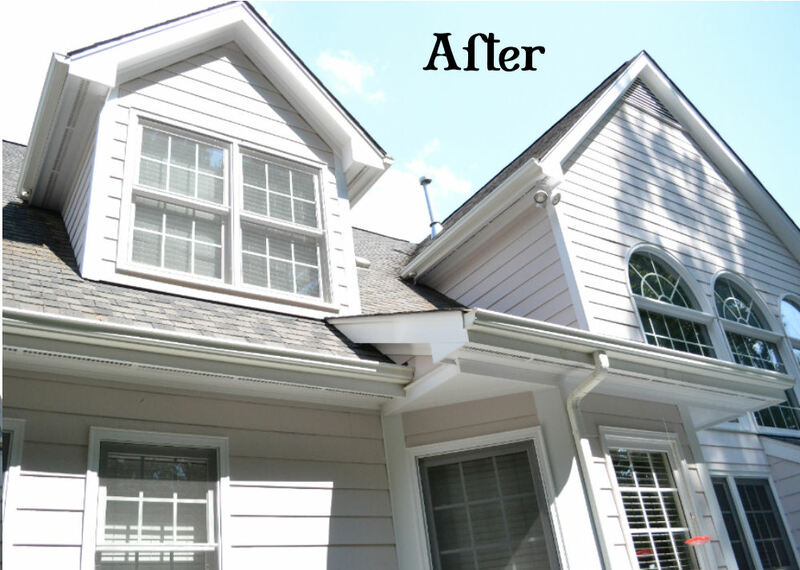 We replace trim boards, fascia, siding, window sills, porch rails and balusters. Whenever possible we use composite non rotting materials, PVC, or fiber cement siding. We thoroughly caulk all replaced materials preventing moisture from entering the house. We give the option to replace pieces with PVC. Some pieces only come in PVC but things like trim boards are replaced with pressure treated wood unless otherwise specified.